What is IKEA Credit Card? IKEA is a big furniture store with outlets all over the world. Even though founded in Sweden, it central growth country has been the United States of America. Here purchases are card oriented, and it is no brainer for IKEA having its store-issued card. An IKEA credit card allows you to consistently shop at any of their stores countrywide and provides an opportunity to pick items on offer. A lot of controversies gets mentioned about the IKEA credit card USA. The card is, of course, a convenient payment platform, offering numerous discounts and bargains on fabulous furniture. Besides, the card allows for an interest-free payment period of 180 days. With this facility, you can afford to purchase quality furniture and make small monthly installments. This aspect improves your bank account’s cash flow. Currently, however, IKEA stores no longer issue any cards to its customers in the US. It uses other third parties to finance purchases. Fortunately, the existing cardholders still enjoy the card benefits. However, do not be fooled. The annual payment interest rate is high – hovering around 25%. Further, it takes effect retrospectively after the interest-free days have elapsed. In case you delay clearing your payment even a day after six months, you are slapped with interest charges. Worst still, it applies for the entire period from the date of purchase. This action wipes out any savings you may have wrestled from the store and imposes additional penalties. Again, the IKEA credit card USA usage is limited. It isn’t applicable elsewhere except at the IKEA stores in the US. The existing IKEA credit cardholders can still use their cards for purchase at any IKEA outlet. However, the store no longer accepts IKEA credit card application online ( or any credit card application us). Further, it does not offer any IKEA credit card in the USA. For the existing IKEA credit card holders, GE Capital has assumed the financing of their purchases. GE Capital has since split into two with the cards section being handled by Synchrony Bank. The bank manages all the IKEA credit card issues ranging from statements, queries, to online transactions. However, all the IKEA credit card rewards and offer are no longer available. Further, no new applications for new cards issuance are permitted. 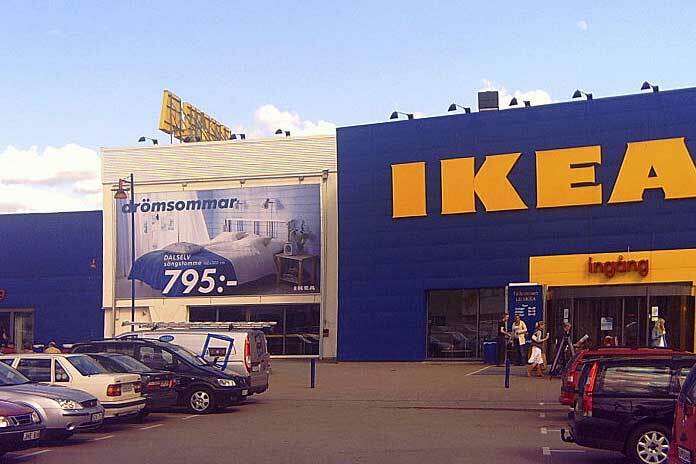 Despite the fact that IKEA credit cards are no longer on offer, several other cards still partner with IKEA stores. The online application for the alternative cards is quick. How do you Pay Your IKEA Bill online? IKEA cardholders get information on new offers and discounts . its similar to Stage credit card benefits and Teamsters credit card. However, on the financing side, the IKEA credit card has performed dismally. Its inability to offer purchase benefits and points rewards have encouraged other credit cards to fill the void left by IKEA credit card. At least five other credit cards exist which provide superior benefits to IKEA credit cards. Apart from 0% initial Annual Payment Rates for up to 14 months, they offer lower interest rates. You understand that store-issued cards are usually expensive to service, but the interest rates IKEA credit card apply is far much worse than most. With the APR of 25.99%, it’s one of the most expensive cards out there. So, customer are reluctant to make IKEA credit card application us. This is despite the fact that the IKEA stores offer some of the best furniture around the world. As such, the outlet is forced to discontinue new card issuance.